Do you pay attention to the landscaping when looking at Big Island luxury real estate for sale? You should. According to the Bishop Museum, the aloha state has more endangered plants and animals per square mile than any other place on the planet. And 90 percent of native plants in Hawaii are endemic, meaning they are found only here in the Hawaiian Islands. 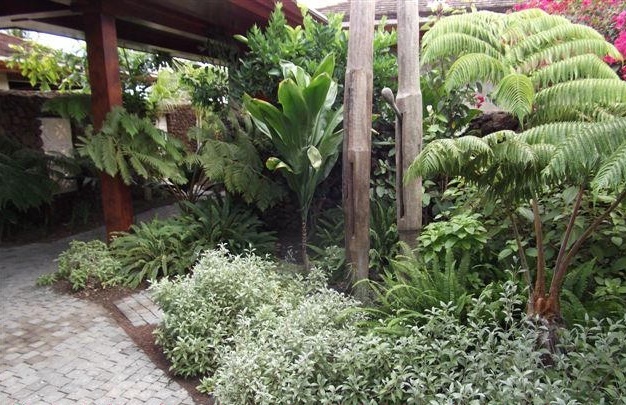 Some people might think that having native Hawaiian endangered and rare plants in the landscaping might be a burden because they require more care and attention, but in actuality, the opposite is true. Many native Hawaiian plant species flourish in Hualalai, and as a result require less water than exotic species. Because they are literally right at home, the plants require less maintenance, which in turn means less fertilization and pruning. By using landscaping that is as beautiful as it is rare, this gem of a home rises above the typical luxury estate in Hualalai to embody a property that truly reflects the spirit and nature of Hawaii.